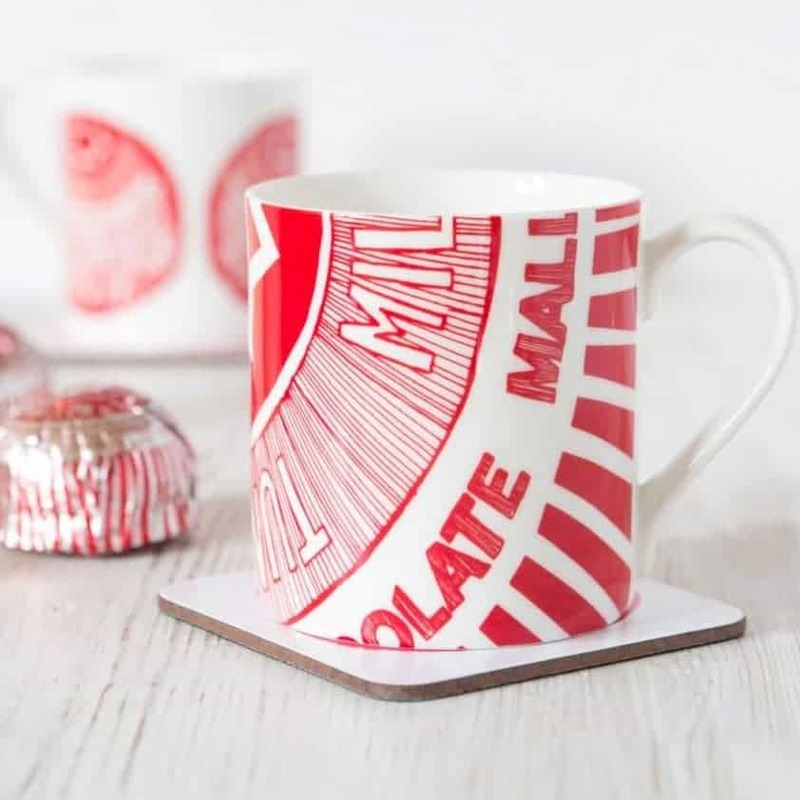 This design honours the wee foil wrapper that we all know and love. 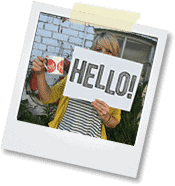 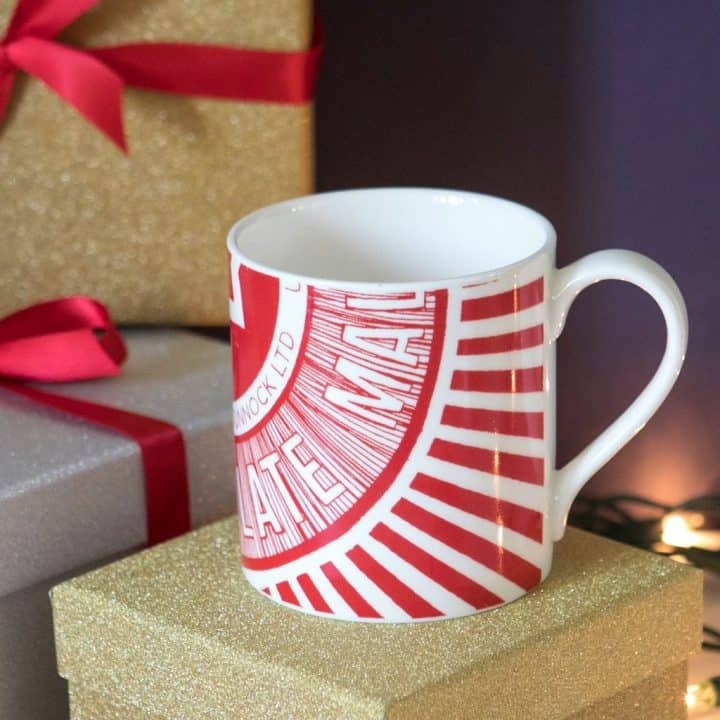 Whatever the occasion – this mug will guarantee a wee smile! A great choice for biscuit-lovers everywhere and makes a colourful addition to your kitchen. 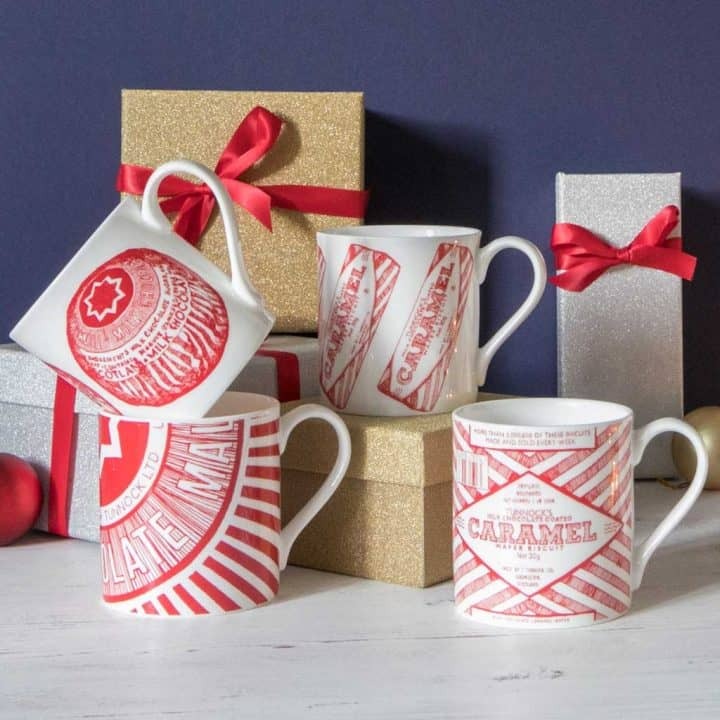 Why not mix and match with some of the other products from the Gillian Kyle ‘Tunnocks’ range here? 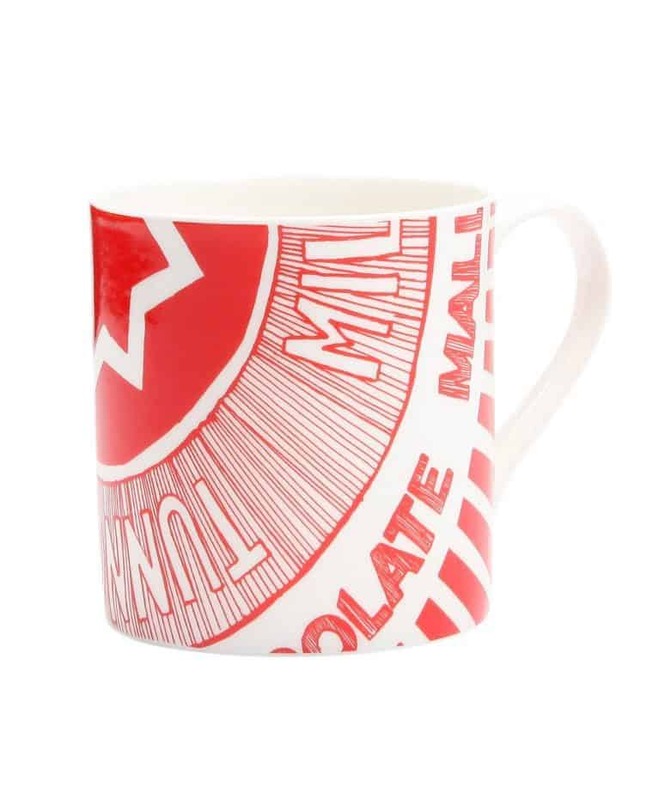 Large fine bone china mug – decorated in bright Tunnock’s red. 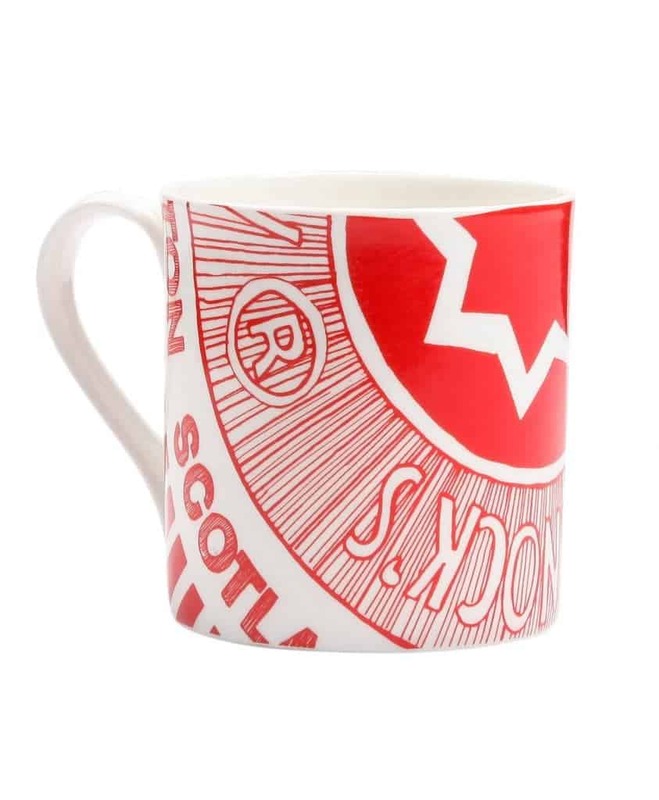 The mug measures 8.25 cm in width and 9 cm in height (3.25 and 3.5 inches). To protect your fine bone china – please always hand wash. We also have a matching Tunnock’s Teacake Wrapper Apron and Tunnock’s Teacake Wrapper Tea Towel.